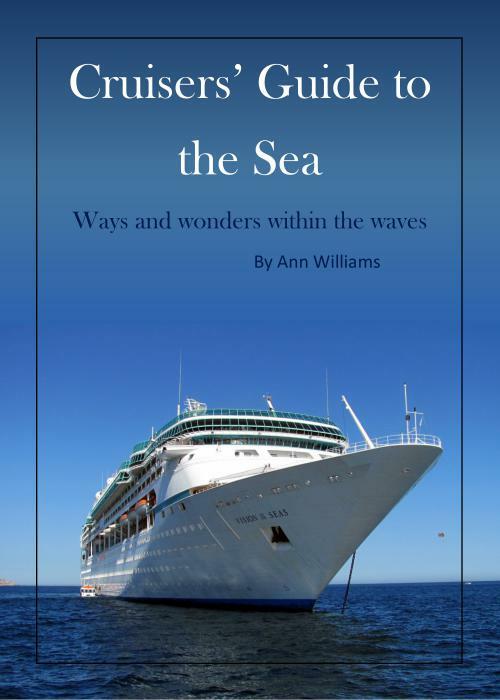 After my first book came out, I was thrilled to get a chance to teach creative writing on a cruise ship. The class went well even though I got seasick in the middle of a lecture and had to make a run for the head. (When I got back to class, my husband Steve was at the podium doing his best to keep my audience from wandering away.) I had no idea how well things had gone until after my last lecture when a class member told me I had been the highlight of her cruise. No way. I convinced myself that I hadn’t heard her right, but then, at lunch, she said it again. Other people said good things too. Wow! If I hadn’t had a day job coordinating a college prep lab, I’d have given lectures on cruise ships until I dropped. After I retired, I got an even better gig: half of a world tour. Steve and I sailed down the east coast of South America, toured Antarctica, and cut west across the South Pacific to Easter Island, Tahiti, Samoa, and Australia. I’m still in awe. lines decided they no longer wanted creative writing instructors. I’m now on a mission to develop irresistible lectures on various sea topics that intrigue me: the sea floor, Vikings, and dozens of sea creatures. In my quest for great material, I have volunteered in an aquarium, on whale watches, and shark tagging trips. A couple of dolphin research facilities worked me into study and swim sessions. Steve and I have toured turtle rescues, the seafloor, submarines, Coast Guard vessels, a chunk of the Earth’s mantle, and an ancient Viking settlement. I’ve kayaked with seals and otters and rafted the world’s highest tidal bore. Those experiences have been a great help in crafting eight high-impact presentations, but there’s still a book to fill. Steve is starting to have nightmares about what I might dream up to do next. Catch our next adventure in the blog.